In this aquaponics walk-through I cover the growth of the system after a couple of months of operation. I have also added a few improvements to help support the growing tomato plants as they get larger. I have been pruning the tomatoes to keep them smaller since the high pH is still effecting their growth. The peppers, tomatoes, and beans are all starting to produce some fruit! 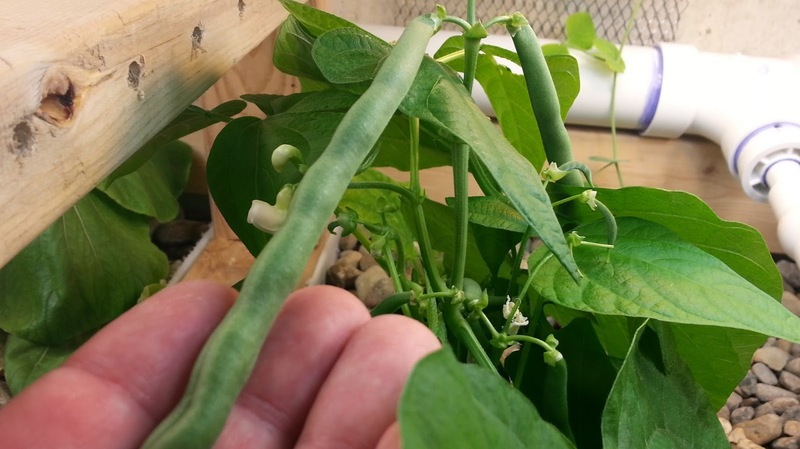 Just yesterday, we harvested over 10 beans off the single bean plant we have. Love finding plants that thrive in a higher pH.